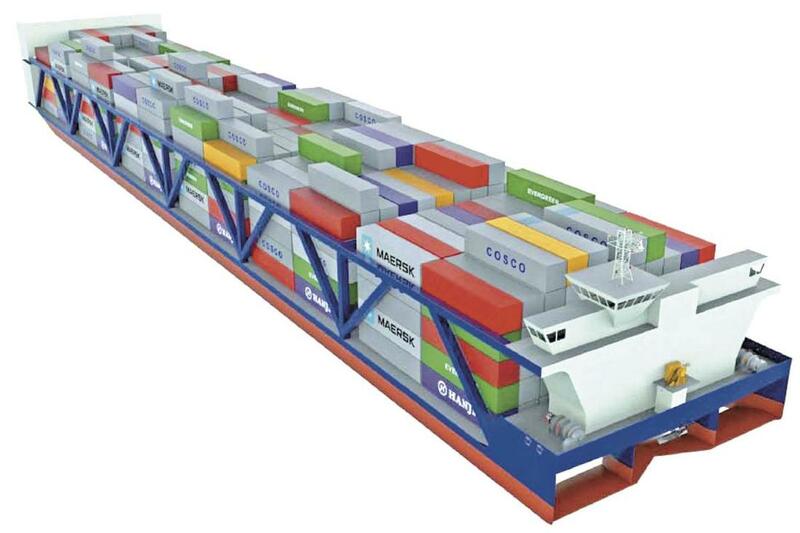 This rendering shows how a Container On Vessel manages to stack land-sea containers on a vessel specially designed to navigate inland waterways, particularly rivers. A coalition led by Mary Lamie of the Bi-State Development Agency has devised an aggressive infrastructure improvement plan and marketing campaign that’s intended to attract and expand more intramodal transportation to the St. Louis area, including Illinois. Called the St. Louis Regional Freightway, key to the plan’s success is St. Louis’ singular position on the Mississippi River. Perched at top of the Upper Mississippi River, this area is where the river is considered the northernmost freeze-free and lock-free open water. This also is where six Class 1 railroads, five airports and four interstates converge. Planning, partnering and branding as a global trade hub are paying off for the Freightway in an “unprecedented” manner. Less than a year ago, discussions at a trade show involving a Louisiana public port, a private vessel company and Freightway officials about concepts for a new kind of multi-modal transportation now are formalized. St. Louis sits in the center on the Midwestern inland waterways, making it what officials believe is well positioned to handle the 40 percent growth projected in freight volume over the next 30 years. ​In late March, a memo of understanding was signed by the Freightway, four St. Louis area ports and the Port of Plaquemines, south of New Orleans. What this agreement does, Lamie said, is forge a public-private alliance to generate new business by promoting international and inland trade routes along the Mississippi River. Mary Lamie is executive director of the St. Louis Regional Freightway, an enterprise of Bi-State Development. President Trump’s $1.5 trillion infrastructure plan has sparked discussion about the vital need to modernize our nation’s infrastructure and the role that individual states, communities and the private sector will have to play in funding that rebuilding. In the bi-state region, those discussions have been underway for some time, resulting in concrete actions that have our area well positioned to compete for whatever federal dollars may be available to help address infrastructure priorities. The region’s highest freight priority, one with national significance, is replacing the 128-year-old Merchants Bridge, one of two rail bridges used by six Class I railroads and Amtrak to cross the Mississippi River in St. Louis. Current capacity on the bridge creates a significant rail bottleneck that has impact on the regional and national freight network. Unless addressed, this critical bridge will be obsolete in 10 years, forcing extensive reroutes and impacting transportation costs to all modes of transportation, as well as the region’s ability to compete globally. In contrast, a $200 million replacement of the Merchants Bridge has the potential to greatly improve freight movement in the nation and create more than $456 million in local economic activity over 20 years. Those very real challenges and tremendous opportunities helped the St. Louis Regional Freightway to unite local governments, Class I railroads, port and barge industries, and other stakeholders in regional freight and manufacturing in support of this project. The bridge replacement plan is a prime example of the type of public-private partnership that has potential to succeed in a funding climate that puts heavy emphasis on private investment. The Terminal Railroad Association (TRRA) of St. Louis committed to funding nearly two-thirds of the project’s cost, with the remainder hopefully to be covered by federal funds being sought through the Infrastructure for Rebuilding America grant program. The Missouri Department of Transportation, Bi-State Development and TRRA jointly submitted the application, with support from East-West Gateway Council of Governments, all four U.S. Senators and U.S. House of Representatives from Missouri and Illinois, and more than 50 private-sector supporters. If the application results in a grant being awarded, the Merchants Bridge project could begin immediately. Another public-private partnership aimed at developing a new transportation link for cargo to move along the Mississippi River also got a recent boost. 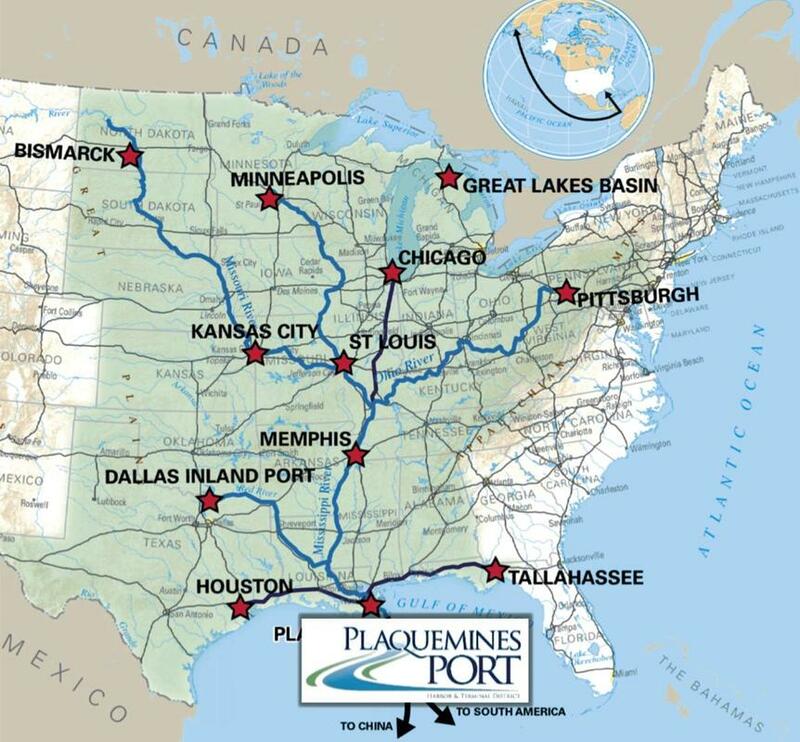 The St. Louis Regional Freightway, Plaquemines Port Harbor and Terminal District located in the State of Louisiana and four ports in the bi-state region signed a Memorandum of Understanding to create an alliance to generate new business by promoting international and inland trade routes along the Mississippi River. The agreement embodies the St. Louis region’s strong support for efforts underway by marine transportation services leader American Patriot Holdings, LLC, and the Port of Plaquemines to develop a hub-and-spoke transportation system for container transport vessel shipments from Plaquemines to the St. Louis region. We’re excited by the region’s ability to unite behind such bold initiatives and confident that our continued willingness to do so will enhance the St. Louis region’s position as a premier freight gateway and multimodal hub. the Mississippi and Illinois Rivers. APCT is a wholly owned subsidiary of APH. and multiple upriver terminals, initially planned for the Memphis and St. Louis areas. advantages given the port’s geographic position. widened and deepened Panama Canal,” said Sandy Sanders, Executive Director of Plaquemines Port. our plans are to provide shorter dwell times, lowest cost, with fast and reliable routes,” Sandy added. for multiple ocean and APCT vessels to be accommodated simultaneously. application of this technology will have worldwide appeal. days to St. Louis. The vessels will be outfitted with substantial electrical capacity for reefer cargoes. efficiencies for agricultural products, refrigerated cargoes, dry cargoes, and chemicals. jobs for skilled mariners and U.S. shipyards,” said Litrico. operators to advance the project.